It is the worst feeling to wake up in the morning and see your face with a pimple breakout in the mirror. Pimples and acne are common problems. Pimples and acne are the same. Acne is just the breakout of pus filled pimples. Both lead to negative feelings as our beauty takes a back seat. Fortunately there are some natural ways to get rid of acne. So, here are the 5 natural ways to cure pimples. These will certainly help and you do not have to go for an expensive treatment.It is the worst feeling to wake up in the morning and see your face with a pimple breakout in the mirror. Pimples and acne are common problems. Acne is just the breakout of pus filled pimples. Both lead to negative feelings as our beauty takes a back seat. Fortunately there are some natural ways to get rid of them. 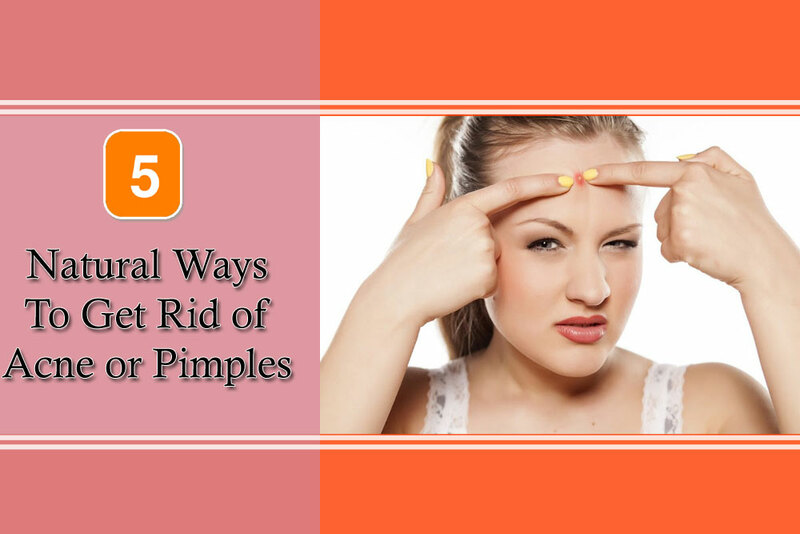 So, here are the 5 natural ways to cure pimples. These will certainly help and you do not have to go for an expensive treatment. Tree tea oil has natural inflammation fighting properties and is very effective against acne. Pour free drops of tree tea oil on a cotton swab and apply it over the affected area. Doing this twice a day is enough. To your surprise, the acne would clear up in just a matter of a couple of days. And your skin would almost be as good as it was before the acne. These days, green tea has become a common household commodity. Green tea has many benefits, one of them being its ability to fight acne. It has antimicrobial and antioxidant compounds that helps fight acne. Prepare a green tea and allow it to cool. Use this to wash your face. You can also lay the tea bag directly on the affected area. Honey is very easy to find in our homes or can be purchased from a general store. Honey has many benefits including fighting acne. Its antibiotic properties help to fight and clear acne. Take a teaspoon of honey and apply it to the affected areas. You can also make a mask by mixing half cup of honey with 1 cup of plain oatmeal. Apply and leave the mixture on your face for 30 minutes. This will do miracles to your skin. Not only will it help clear up the acne, it would also moisturize your skin and make it glow. Honey should be applied twice a day for 3-4 days or till the acne is cleared. Mint also has some antibiotic properties which help to fight acne. Mint helps by removing pore-clogging oil. Min should be used as soon as you notice the acne, the sooner the better. Take some fresh mint leaves and finely chop them. Mix a tablespoon of it with two tablespoons each of oatmeal and plain yogurt. It would be better if you can use a blender to mix these items. Apply the mixture on your face and leave it for 10 minutes. Rinse your face after that. We all know about the medical benefits of Aspirin. One benefit many people don’t know is its properties to fight acne. The cyclical acid is its composition is very useful in treatment of acne. It dries up the pimples and reduces its inflammation. To use Aspirin to treat acne, make a paste by mashing a few aspirin pills in a small amount of water. You can also dissolve four aspirin pills in 2 tablespoons of water. Apply the mixture on the affected area and leave for few minutes. Doing this for a couple of times will clear the acne to a big extent.